Created a division clarity map to define “True North” with vision, mission and values. Created a division dashboard to track progress on major goals and initiatives with targeted performance metrics. Started using the five exemplary practices of leadership from The Leadership Challenge to encourage leaders to more frequently model the way, inspire a shared vision, encourage the heart, and enable others to act. 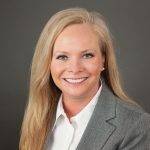 Developed and implemented an 18-month roadmap based on the four pillars of operational excellence to keep advancing the journey toward becoming a healthier organization. Developed value stream maps for major processes that illustrated the value of each process to the customer. Trained all of their employees on basic Lean concepts using the Lean Simulation for government and Crucial Conversations. Started employing Lean Leader Standard Work to grow the leader as coach and reinforce the use of visual management, huddle meetings, A3s and process walks. What was next for this high-performing team? 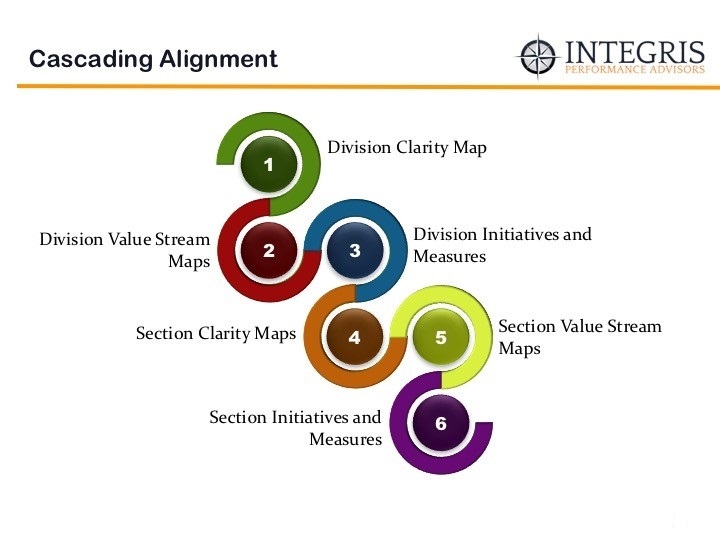 After revisiting and revising the division’s strategic management system core guiding documents – the clarity map and the dashboard – the division turned its attention to cascading alignment deeper into the organization. Each section worked as a team to build better enterprise alignment. Rank had no privilege in the room as the section managers, supervisors and lead workers brainstormed, prioritized and revised side by side. Who are we and where are we going as an organization? How do we measure performance against what is important? How do we decide where to focus our efforts and allocate resources? What actions do we take to improve our ability to achieve our desired outcomes? How do we sustain improvements and ensure our efforts are making an impact? By lunch time, each section team had draft vision and mission statements. The teams were asked at to check for alignment with the division clarity map. Did the section visions and missions support the overall vision and mission of FBOD? Passing that all-important test was key before moving on to creating more detailed action plans for the sections. With a refined focus for each section, the teams set to work developing top level goals, initiatives (major work plan items) to start moving toward those goals and measures so progress could be tracked. Each team was asked to try to stay at six goals or less to ensure they retained focus and to winnow down initiatives and measures to only the essentials. The goal? Don’t make a section’s dashboard so large and complicated that maintaining it is a project in itself. At the end of the day the section teams were given a final assignment before finalizing the clarity maps and dashboards: Get input from all section staff, revise and finalize the section strategic management systems. Vision: Does the vision inspire you to stretch? Mission: Do you feel included in the mission? Values: Do the values resonate with you as the most important ones? Goals: Are these goals big enough and broad enough for the next 3-5 years? Initiatives: Do we have other ongoing major work items we are missing in our initiatives? Measures: Do these measures truly measure progress in achieving initiatives? Draft vision and mission for Procurement & Payables Section of the Finance and Business Operations Division. ← Strategic Performance Management: What Do You Do When You’ve Almost Achieved Your Vision?